1 Afghanistan. Afghanistan is slated for elections to its 250-member House of the People on July 7th. 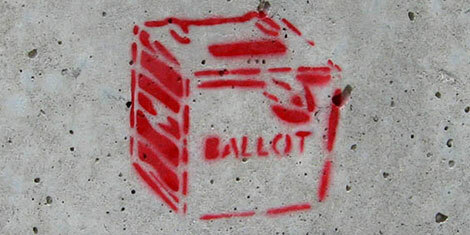 The elections are already at-risk due to debates about replacing the Single Non-Transferable Vote electoral system (SNTV) and the ubiquitous problem of voter registration (which has long been a problematic effort in the war-torn country). The parliamentary elections were delayed by decree from President Ashraf Ghani in 2016 amidst disputes about SNTV, boundary delimitation, and the composition and role of the electoral commission. 2 Bosnians are expected to go to the polls on October 7th to elect three members of an ethnic rotating presidency comprised of a Bosniak, Croat, and Serb. Each member is elected by plurality, although following the antiquated terms of the 1995 Dayton peace-agreement constitution through which the Serb representative is elected separately in that province carved out during the war along ethnic lines. The plurality vote is problematic in that it easily lend to a hyper-nationalist candidate being elected in the entities by a slim, minimum-winning coalition of votes. 3 Colombia faces the next phase in its process of war-to-full democracy represented by the landmark 2016 Havana peace agreement that seeks to politically integrate the rebel-group FARC with a guaranteed ten seats in parliament: five in the House, five in the Senate. Colombians will vote in March for 196 members of the House by proportional representation (mixed-member districts) divvied up by governance department. Presidential elections are then scheduled for May 2018 with a runoff likely in early June given the two-round, majority-producing process to choose the president. 2018 will be the first fully inclusive public test of the peace process. 4 Cuba. In October 2017, some eight million Cuban voters participated in municipal elections which lead to provincial and national assemblies to produce the 612-member National Assembly of People’s Power. Since the 1959 revolution, elections in Cuba have been a game of Leninist “democracy” within the Communist Party; however, in October local-level polls, for the first-time opponents of the regime ran some candidates (who suffered from state-led harassment and intimidation). 5 Mali’s presidential elections scheduled for the very end of December are a critical part of the political track of moving Mali out of the category of “failed” states in which the UN has intervened with peacekeeping and governance support (in Mali, in the form of MINUMSA. 6 Mexico. Political violence related to Mexico’s June presidential and parliamentary elections–slated for July 1–has already been reported. This in a country that in the past years has seen its highest rates of armed violence ever recorded–in 2017 the country was ranked the second “most violent” globally (after Syria). 7 Sweden. 349 members of the Riksdag (parliament) will be elected by proportional representation on September 9th. The Swedish elections are remarkable as Sweden has reportedly has been the target of a disinformation campaign (“fake news”) as a means of sowing discord in its changing and more multi-ethnic population and to weak its longstanding and mature democracy, all with fingers pointed at Russia. The Swedish Institute of International Affairs documented the ongoing campaign of meddling; they found “forgeries, disinformation, military threats and agents of influence and define Russian foreign policy strategy.” Can Sweden protect itself from foreign disinformation campaigns? 8 The United States. In 2016, the Economist Intelligence Unit downgraded its measure of the quality of democracy in the United States, suggesting that country is now a “flawed democracy” from its longstanding rating as a “full democracy.” The cause? U.S. citizens increasingly distrust government. The Economist measure taps a strong threat to the resilience of U.S. democracy: trust in government is indicative of declining trust in society: a consequence of worsening conflict beyond nationalist and liberal/multiculturalist impulses in U.S. society. 9 Venezuela. The once-failing regime of President Nicolás Maduro sees a revival in elections slated in the crisis-ridden country in 2018. Although the elections are scheduled for December, they may be moved forward according to the electoral system. With an electoral system of single-round plurality voting, presidential elections in Venezuela are about getting and maintaining a minimum-winning coalition. 10 Zimbabwe was the big year-end news story for democracy globally, perhaps suggesting that over time people will prefer more, not less, democracy and that they will be able to topple the most intransigent political elites. However, observers are right to point to the possibility of a very limited political transition in Zimbabwe given the internal succession within the ruling ZANU-PF regime of new president, Emmerson Manangwa who became the incumbent president after the military-led ouster of longtime liberation-era ruler Robert Mugabe at the end of last year. Timothy Sisk is Professor of International and Comparative Politics at the Josef Korbel School of International Studies, University of Denver.